As many of you know, in October, President Trump will be reviewing his decision regarding lifting sanctions against Sudan. The sanctions originated as a response to two urgent issues, firstly as a response to Sudan’s genocidal campaign in Darfur, which began in 2003. And secondly as a response to Sudan’s role in supporting and hosting international terrorist groups that threaten US national security. These sanctions were initially conditioned only to be lifted if there was verifiable evidence that the government had ended its attacks on civilians and instead worked to build sustainable peace in Darfur. It’s worth noting that Darfuris continued to suffer at the hands of the Sudanese government over the last 14 years. Thousands of people have been killed, countless women and girls have been raped, and millions of people have been displaced by the relentless attacks and remain hostages in makeshift camps. Additionally, to date, there are credible allegations that Sudan still maintains strong ties with the terrorist group in the Middle East and West Africa which threaten US national security. It is important to note that while the current administration is debating whether to lift sanctions, none of the conditions for their removal have been met. By lifting these sanctions, we are ignoring genocide and rewarding criminals. We started a petition earlier this year to urge the Trump Administration to keep sanctions against Sudan in place. Now, as the decision draws nearer, we’ve worked to create templates for you to use. Firstly we’ve created a template “Letter to the Editor.” We hope that through submitting this, more mainstream publications will work to bring more coverage to the situation in Darfur. We’ve also created a template letter to congress. 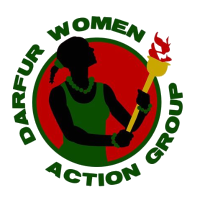 We hope that you will use this to urge your representatives to advocate for the people of Darfur, and American security by urging President Trump to keep sanctions in place. We hope that you use these tools to bring awareness to the gravity of the situation in Darfur and urge our leaders to act to end genocide. Please help us by sharing these materials and showing your support for the people of Darfur.